A surprising number of New York City offices, laboratories, and warehouses were involved in the top-secret Manhattan Project. 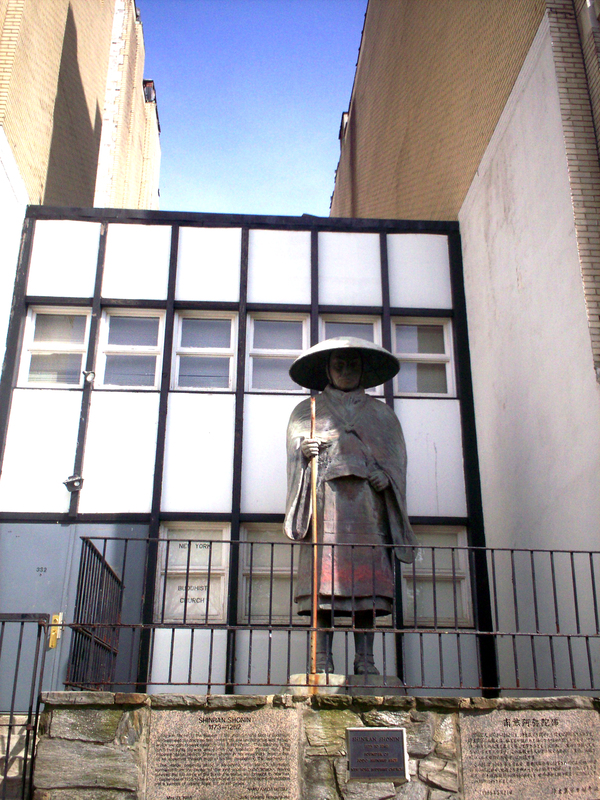 While these New York City sites remain largely unmarked and unknown, they were a small but crucial part of the project. The term “Manhattan Project” is commonly thought to be a misnomer, but the first offices of the Manhattan Project were at 270 Broadway. General Leslie Groves decided to follow the custom of naming Corps of Engineers districts for the city in which they are located, thus the atomic bomb project became known as the Manhattan Engineer District (MED) or “Manhattan Project.” The title had the additional benefit of masking the actual purpose of the top-secret project. 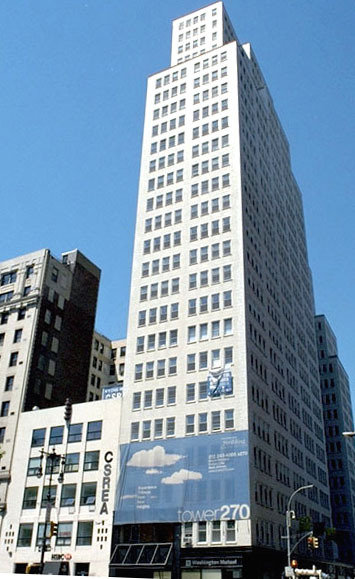 The first headquarters of the Manhattan Engineers District was located in what is now the Arthur Levitt State Office Building. In 1942, the 18th floor of the building was the headquarters of the North Atlantic Division of the Army Corps of Engineers. This building became the project’s first headquarters in mid-June of 1942. In August 1943, the headquarters were shifted to Oak Ridge, TN. 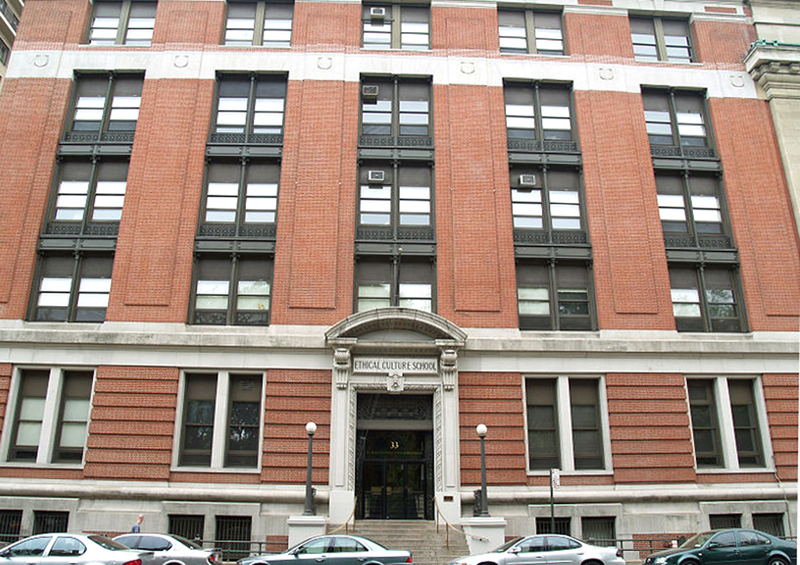 The name initially proposed for the project was the “Laboratory for the Development of Substitute Materials.” Worried that it revealed too much about the project’s intentions, General Groves preferred the “Manhattan Engineer District” (MED), named after the location of its initial offices. While 270 Broadway’s most notable contribution to the Manhattan Project was serving as its first headquarters, Stone & Webster, a Boston-based engineering firm, also had offices in the building. Stone & Webster was tasked with building the Y-12 electromagnetic separation plant to produce enriched uranium. This method was one of the three different approaches pursued at the Oak Ridge, TN site. 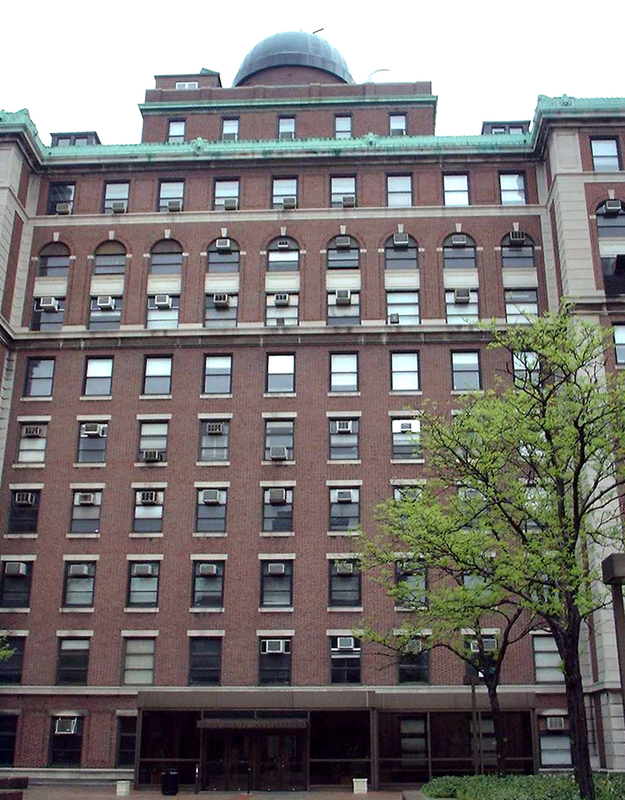 Important Manhattan Project research was conducted at Columbia University’s Pupin Hall and Schermerhorn Hall. World-class physicists, including Nobel Prize winners Isidor I. Rabi and Enrico Fermi, joined Columbia’s research team to investigate the relatively new science of atomic particles. The basement laboratory of Pupin Hall became home to a cyclotron, built by Dr. John Dunning, an associate professor of physics, and Dr. George Pegram. The following year, Columbia scientists first proved that the fissionable material in uranium that released energy when bombarded with neutrons was the isotope uranium-235. A scientific team at Columbia, including Dunning and chemist Harold Urey, invented and perfected the “gaseous diffusion” method of separating uranium isotopes. The Columbia cyclotron was used for experiments until 1965. Located at 3280 Broadway, the Nash Garage Building was originally an automobile dealership. It was purchased by Columbia University and converted into a pilot plant to create the barrier material for Oak Ridge, TN’s K-25 Plant, which used the gaseous diffusion process to enrich uranium for the bombs. While the theory surrounding this process was relatively simple, producing a functional barrier was another matter. The uranium-rich gas used to separate the U-235 isotope from its more common but less useful cousin (U-238) was highly corrosive, so the barrier material had to be tough as well as porous. Initially, research went forward on a method developed by two Colombia physicists, Edward Adler and Edward Norris, that used corrosion-resistant nickel. Later, though, an improved method using powdered nickel was developed by a scientist named Clarence Johnson, who worked for the Kellex Corporation. The teams working on the Norris-Adler and Kellex-Johnson methods worked feverishly to refine their techniques in time to be used in the production facility being constructed in Decatur, Illinois. In the Nash Garage Building, the teams built a pilot plant in order to determine whether their designs would function on an industrial scale. Eventually, General Groves decided to go with the Kellex-Johnson process. Half-installed Norris-Adler equipment was pulled from the Decatur plant and replaced with the newer method’s apparatus. The Nash Garage Building represents an early example of the alliance between government, academia, and private industry that would come to characterize the Manhattan Project. 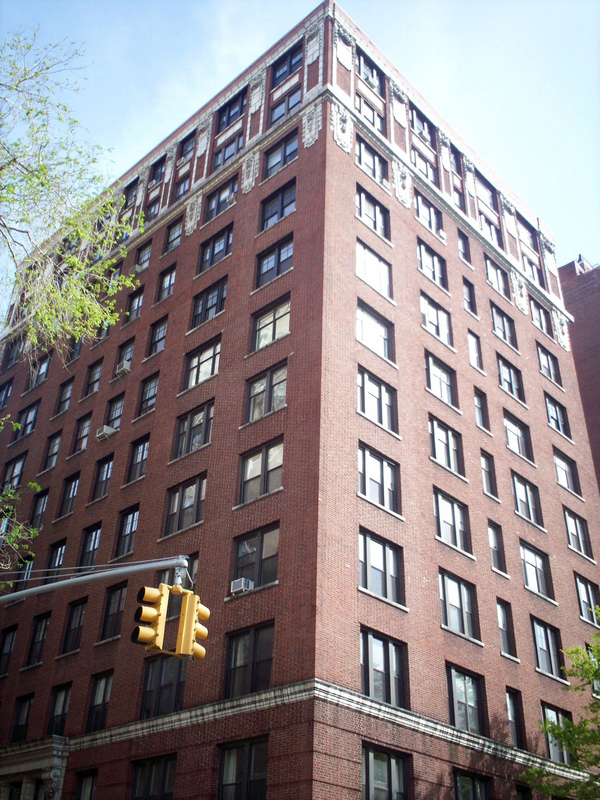 The Murray Hill Area Engineers Office and the Union Mines Development Corporation were on the 18th floor of the building. Much of Union Carbide’s involvement in the Manhattan Project dealt with the processing and enrichment of uranium, but before that could be done, raw uranium ore was needed. The Union Mines Development Corporation was formed as a subsidiary of Union Carbide to purchase uranium ore from domestic sources. If they had any questions about what was needed, they could simply walk down the hall to the Murray Hill Engineers Office, the Army agency charged with coordinating all uranium procurement for the project. Union Carbide played an important role in ore procurement, but their largest contribution to the Manhattan Project was operating the gigantic K-25 gaseous diffusion plant in Oak Ridge, TN. Located along West 20th St., the Baker and Williams Warehouses were used by the Manhattan Engineer District in the early 1940s for the short-term storage of tons of uranium concentrates that had been shipped in secret to the nearby Hudson River docks. The ore was then distributed to government facilities involved in nuclear reactor and atomic weapons programs. The processed uranium came from the Eldorado Mining and Refining Limited Company in Canada, which had large stocks of uranium as waste from its radium refining activities. To accommodate American and British orders and maintain secrecy, Eldorado was purchased by the Canadian government. By 1946 more than 4,000 tons of ore concentrate containing approximately 1,100 tons of uranium oxide had been delivered to the MED. Inside this inconspicuous office building a team of approximately 300 people worked to procure materials needed for the atomic bomb, such as uranium, graphite, and beryllium. The office was run by Lieutenant Colonel John R. Ruhoff until September 1944, when Major Wilbur E. Kelly took over. The work carried out in the Madison Square Area Engineers Office was an example of how General Groves divided up seemingly infinite tasks into manageable, discrete pieces. This approach was critical to the success of the enormously ambitious project. The task of the Madison Square Area Engineers Office was to obtain industrial quantities of the materials for top-secret nuclear reactors, enrichment plants and other facilities essential to the development of the atomic bomb at Hanford, WA, Oak Ridge, TN, Los Alamos, NM, and other sites across the country. 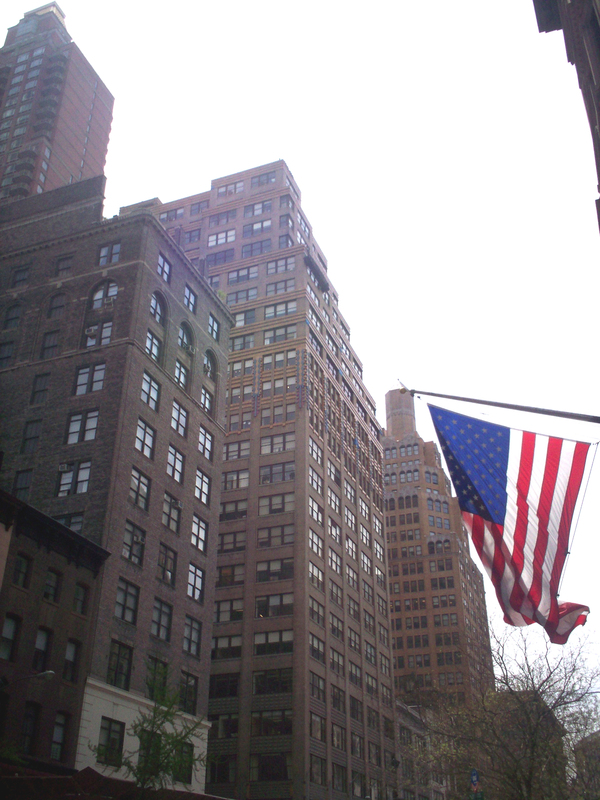 During the Manhattan Project, the Kellex Corporation had its offices in the Woolworth Building. Kellex was created as a separate entity of the M. W. Kellogg Company to preserve the secret nature of the company’s wartime work in Manhattan. 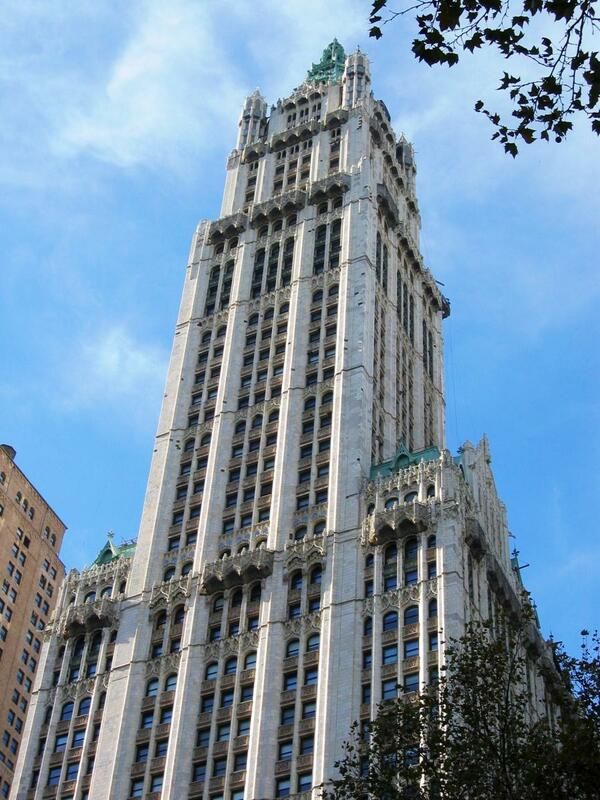 Kellex chose the Woolworth Building as it was convenient to the headquarters of the Manhattan Engineer District. In addition, Kellex built a pilot gaseous diffusion plant for Columbia University in the Nash Garage Building. Architects had to design the K-25 plant at the same time as scientists and engineers were refining the technology that would go into the building. When General Groves contracted M. W. Kellogg Company to design the top-secret plant, Kellogg created the Kellex Corporation. The plant site was named “K-25” with “K” for Kellex and “25” for “U-235.” “25” was a common designation for U-235 during the project. From Uptown to Midtown to Downtown, the city of Manhattan lent its name and office space for the execution of the Manhattan Project. For more information on the Manhattan Project's sites in Manhattan and the people who worked there, please consider purchasing our Guide to the Manhattan Project in Manhattan, which can be found on the Atomic Heritage Foundation's online store or at Amazon. The Woolworth Building in NYC. Photo courtesy of Aude, Wikimedia Commons. James Forde was a lab assistant in the Nash Garage Building, where scientists worked on developing the gaseous diffusion process. Seventeen year-old Forde was the lone African-American in the midst of PhD scientists. When the atomic bomb was dropped on Hiroshima, he immediately realized that his job cleaning pipes was related to the bomb. The full interview transcript can be found on "Voices of the Manhattan Project."